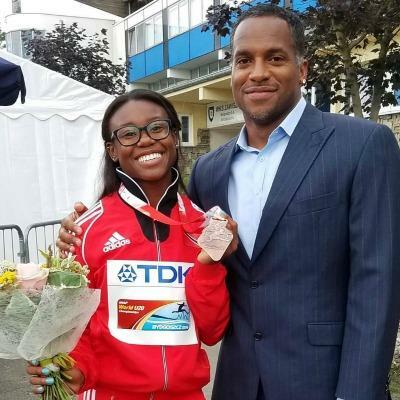 Coach and Trinidad & Tobago Olympian Ato Boldon took to social media afterwards describing the reason to sideline St. Fort for the remainder of the event. "As the CEO of Team Khalifa St. Fort, my job is to make decisions that benefit her career, at all times. Those decisions will not always be popular, or well-received. She and I have a 1-10 scale that we use to assess her pain. 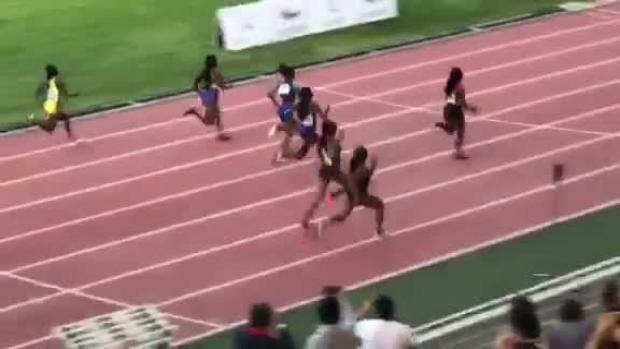 Her right hamstring, after last night's 100m final, is currently "7", with ten being the worst." 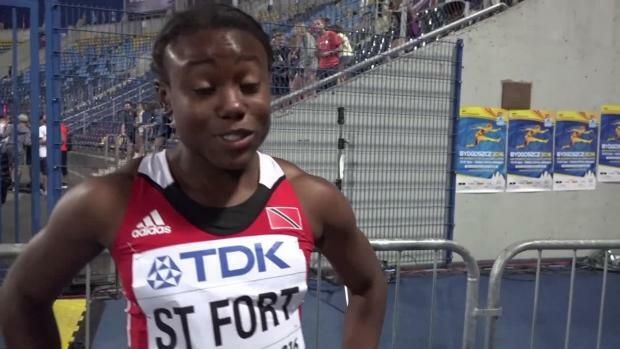 St. Fort indicated to Boldon that she felt the leg grab pretty badly in the last 20 meters of the race. Boldon says as a result he has the made decision to save her for the Olympics Games. 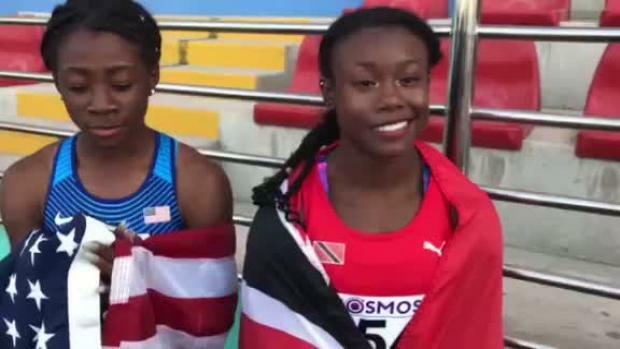 "I have to make the decision to save whatever she has left this season for the Rio Olympics, and her 4x1 relay participation - which represents TNT's best chance to end the women's Olympic medal drought. 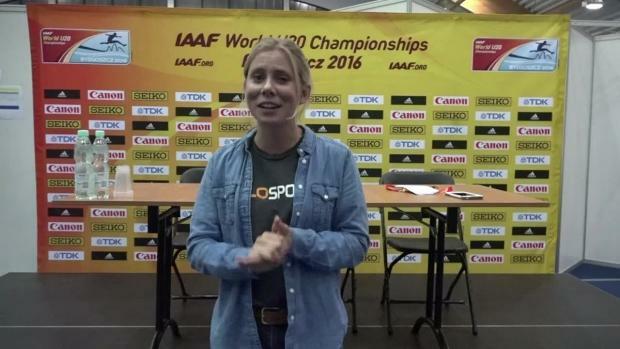 She will take no further part in the World U20 Championships." 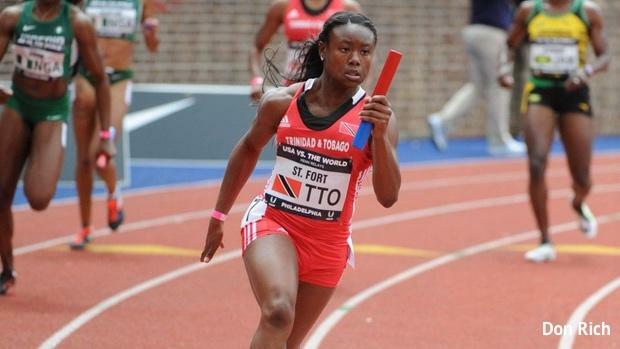 St. Fort followed up her 2015 IAAF World Youth Championship silver medal in the 100m dash with a bronze medal in the 2016 IAAF World U20 Championship women's 100m dash. 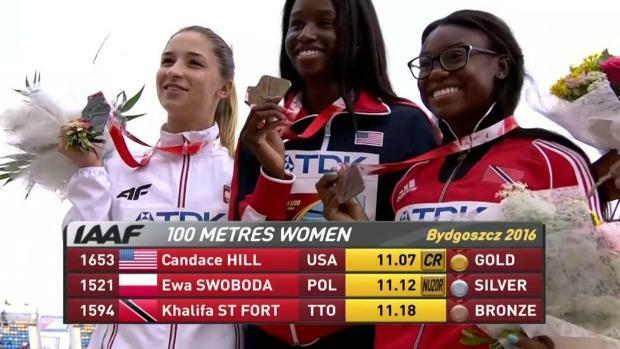 The South Florida based sprinter ran 11.21 in the semifinals and followed that up with the second fastest time ever in her career of 11.17 to earn the first women's 100m medal at the World U20 Championships for Trinidad & Tobago since 2000.